1. 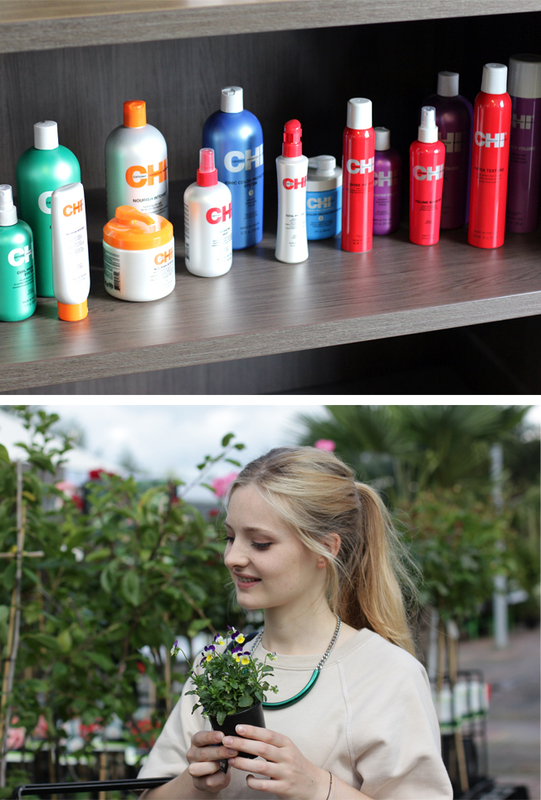 A few of the at John Beerens available CHI products, I'm a loyal user of the CHI keratin products (white bottles with golden cap). I especially like the silk infuser! 2 & 3. Went to the Intratuin to buy a few plants, I ended up buying different vases and mountain grass. 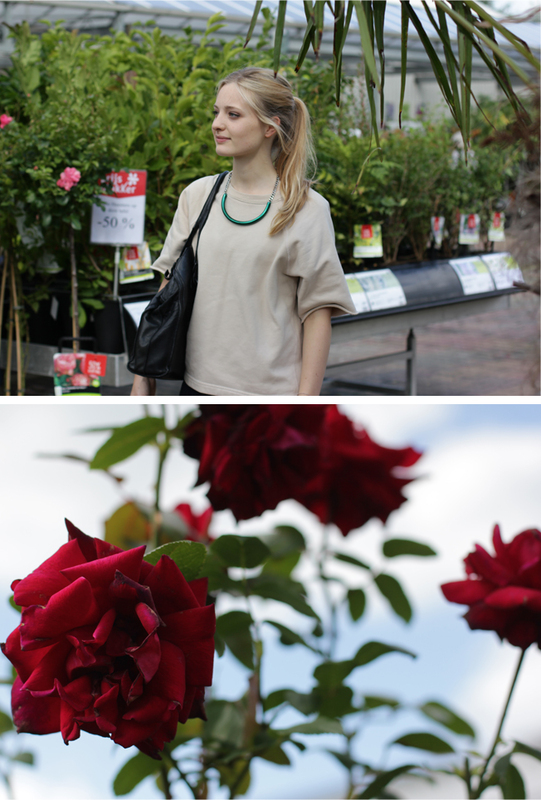 I'm wearing an Isabel Marant short sleeved sweatshirt, a necklace from COS and a leather bag by Zara. 4. Beautiful deep red velvety roses in the shop. 5. I'm a huge fan of blue/lilac hydrangeas, unfortunately we don't have a garden or balcony (yet). 6. Another photo of the outfit, where I'm wearing my new Acne bird print sweatshirt, I showed you guys this week. Ah je Acne trui! Zo mooi! Beautiful shirts, both the IM and Acne! Wauw, wat zie je er prachtig uit en wat een leuke blog heb je. Ik volg je! Ik hou altijd van deze posts! Ben al een tijdje heel erg nieuwsgierig naar de John Beerens haar producten. Heerlijk is dat he door de Intratuin struinen, doe 't zelf ook regelmatig hihi. mooie foto's en een hele leuke outfit! Wat een prachtige foto's op jouw blog!